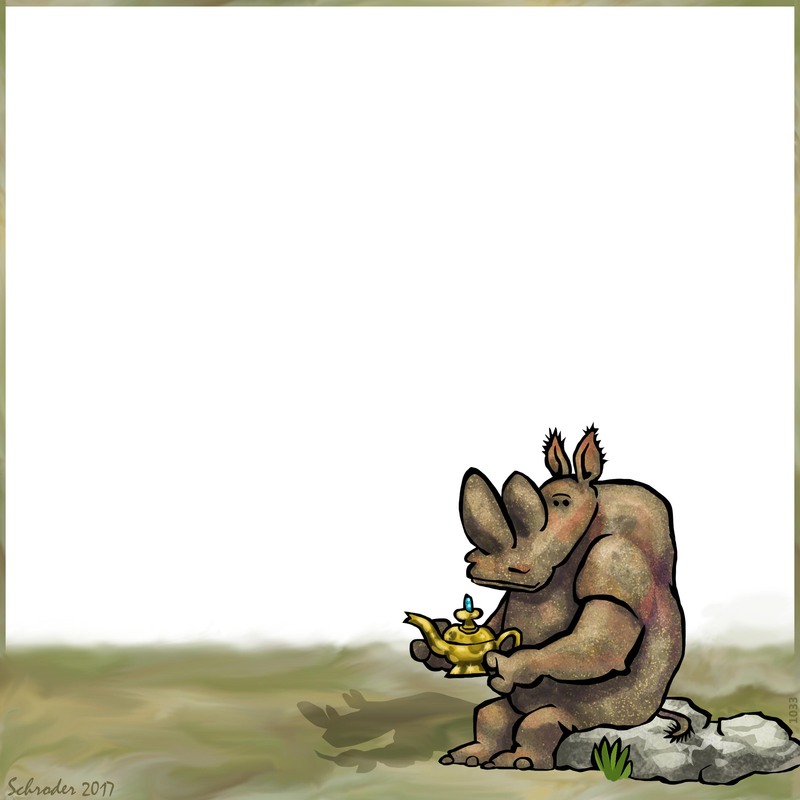 When Rhinos discuss Magic, We realize pretty quickly that We’d have to believe We understand what’s wrong with the way things are. Yes, We might like a new egg-beater, or less creaky joints, or glitter on our cereal, but these are delights without much staying power. We contemplate the “Three Wishes Formula”, but can’t come up with anything genuinely satisfying. The TWF is a system with some serious shortcomings; too many ifs, ands, and buts. It doesn’t seem quite fair. Happily, it isn’t an issue on a frequent basis. And the there’s the Three Truths, but that’s another story.